It’s a tough world in events, but totally worth it! Some tips and advice to get you going in the right direction. So, maybe it’s the heat of summer (or the rain in Oregon–it was pouring during a recent CLD trip up there! )… but it seems like everyone I am meeting right now in the wedding business is stressed. Hitting their limits. And I am so sad that I have even seen a few brides about to hit their insanity stage. We get it, we seriously do. Wedding planning is HARD (which is why you have hopefully hired an amazing wedding planner to make it easier). But we also know that even if you have a wedding planner, there are times you are going to stress and totally freak-out: you have a lot of decisions to make, you might not always get every little thing that you want, that bridesmaid might be getting on your last nerve, and oh-my-goodness can you just be married already!!! Yup, we have had that conversations with our brides and in our own minds (because we were once brides too!). This might sound totally lame, but it bears repeating: this process is pretty fun. We can’t promise it will be fun 100% of the time (floorplans are just the worst) but the really great parts will always outweigh those moments of panic (you had the perfect excuse to stuff your face with cake at the 3 tastings your scheduled). – When you first received your engagement ring (or you had just received an acceptance of your amazing proposal), how excited you were? – How diving into the wedding planning process was thrilling? – How you felt when you found THE dress?? Or THE venue? Or picked THE date?? Yikes. We all hate that word: regret. It’s that agonizing feeling that looms in the back of our minds that we can’t quite shake. It keeps us up at night, it makes us *wish* we could do something again. You can only re-hash something so many times or annoy your bff with the same details so often if you want to keep her from sending you to voicemail. So how do we live without regret? Just like home insurance and car insurance and life insurance (ahem, and pet insurance … yep, Type A here). We get these things to protect ourselves and loved ones in order to decrease our odds of the problems that could come ahead. We had an awesome seminar from spokesperson from mywedding.com this month. Being a medium for thousands of brides, it was great to hear him reiterate what we try so hard to tell our clients. Hiring the right team will decrease your chances of regret. So how do we do this when it comes to a wedding? You hire a wedding planner. The number one thing HE heard from clients was “I wish we’d spent more money on ___, it would have been worth it looking back”, or “If only I’d know, I would have ____”. We’re not asking you to throw your budget out the window, and the catch 22 is you’re not supposed to know! You’re busy with work and life and love, you’re not expected to know the whole wedding planning process when you’re only going to do it (hopefully!) once in your life. That is why you need a team of professionals to help you. That is our job, and we decrease your risk level when you hire the right team. Well, this is us telling you!!! You can’t claim no one has told you that you need a planner. This day happens once. You spend a lifetime thinking about it and up to a year getting details together for an event that takes 6 hours. Is it really worth chancing it and looking back thinking “if only”? Which is why it was so awesome that one of our upcoming brides sent us a ton of photos when she was torn between dresses! Of course, we were happy to assist and we are pleased to report she went with our suggestions. But we had so much fun talking about wedding dress styles, it got us thinking that it would be great topic to blog about! Dress selection is one of those things we suggest you start thinking about and working on fairly early in the process. Between ordering the correct size, alterations, and finding those perfect accessories, it takes a lot of time! And to talk about the styles… there are hundreds of thousands of styles of wedding dresses! We got so caught up in the trying to explain our style preferences, we thought we’d help out our readers and pass along some basic wedding terminology that help you navigate the racks upon racks of wedding dresses. Check back often, we might make this a series because there is a lot to wade through! We’ll start with the first word you need to know: Silhouette. This describes the basic shape of the dress and there are a few categories that dresses can fit into. We’ve included pictures of some runway looks and celebrity inspirations to get you started! – A-Line: This has no clearly defined waist area, but flows downward to a flared skirt, creating that basic “A” shape. – Ballgown: Cinderella alert! Usually the upper body is very fitted with a big skirt that is usually a bit on the poofy side. Kim’s first dress, a dramatic ball gown also by Vera Wang! – Empire: These dresses have a raised waist that sits right under the bust and flow to a straight or slim skirt. Might be difficult to see, but Nicole’s waist is defined here in this gorgeous Balenciaga dress. – Mermaid: Usually are very fitted along the body, with the sudden flare of the skirt occurring anywhere from mid-thigh to the knee. Classic Jim Hjelm mermaid dress. Hilary Duff stuns in a mermaid design by Vera Wang. – Sheath: Also known as a column dress, this is usually a very straight design fitted close to the body. Sheath dress by Marchesa for Molly Sims. We hope these few simple terms help you start your wedding dress search. Stay tuned for more throughout the summer! Weddings are all fun and beautiful, until you get down to the knitty gritty: how much is it gonna cost? Like most things in life, it comes down to who is paying for what, and how you can best manage your budget. We all have big dreams for our day, but other than love (which is still the most important part!) very few of those things come for free. So where do you start? 1. Where is the money coming from? We all know it is traditional for the parent’s of the bride to pay for the wedding, but did you know that in this same tradition, the groom’s side pays for the bridal bouquet, the groomsmen boutonnieres and the ladies corsages? Nowadays, couples are contributing or even paying for their own weddings, and it is not uncommon for the groom’s family to give a monetary contribution. Whatever your scenario may be, figure this out before planning. As uncomfortable as these conversations may be, they are much easier than cancelling vendors or overspending down the line. 2. Be realistic. No matter your budget, you could always have more. I have worked on $80,000 weddings that are pushing the budget, and I have worked on $25,000 weddings. It doesn’t matter what your budget is, even millionaires overspend sometimes. It is all about relativity. Make sure to hire vendors that are in the correct price range for your budget. 3. Set your budget guidelines. Work with a planner to give you an outline of how you should expect your expenses to go. And stick to it. If you go over in one area, cut back in another. 4. Choose your priorities and be willing to let other things slide. Sadly, not everything can be a priority. If you have a budget, then you need to choose the top 2-3 things that you want and be willing to compromise on some other items. 5. Don’t let the money eat away at you! There are beautiful options in every budget, so relax a little and don’t get frustrated. 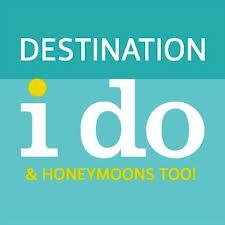 Don’t forget, you are getting married and it should be fun!! Plus, you and your fiance are going to have to deal with finances for the rest of your life, so consider this your training course. Kids. CLD loves kids. Kids attending and being a part of a wedding can be so truly special (and oh-so-adorable). But, kids and weddings don’t always mix, especially very, very young ones. That’s just the truth. Sit down with your fiancée while working on your guest list and launch right into the question: “Should we allow kids at our wedding?” We have a feeling that you’ll both have a gut reaction, but take a really good look at the guest list to prepare for any potential issues. Are there any people traveling to your wedding with small children? Is there anyone in the bridal party or immediate family with children? Do we have children and how do we want to incorporate them into our day? 1) Adopt a “adults-only” policy. This is a popular policy for destination weddings, super formal weddings, or the very alcohol-friendly receptions where having people under the age of 21 is going to be hard. You might feel guilty going this route, but if it’s feasible, it really is OK! Seriously, it’s OK.
2) The more kids, the merrier! If you know that kids are a must-have, go for it in full-force. If you know they are going to be a significant amount of kids (such as 10-15% of the guest list), make sure you have some kid-friendly extras included. These might include good non-alcoholic beverages, a table just for the kids, an activity room or corner, etc. 3) Immediate family and bridal party can bring their kids–they are your family! This is a good policy if there are a few special little ones that need to be there for your day as a flower girl, junior bridesmaid or ring bearer, but you don’t want to have a ton of kids for the reception. Or, let’s say you have a long engagement (over a year): during that time, the child situation in your family or with your bridal party can change pretty fast, so you might need to be accommodating to those closest to you. But again, be consistent in your application of this–once you make an exception, be prepared to make more. 4) Our new favorite solution (that can be applied to any of these policies): hire child care. Yes, this is an extra expense and you’ll need to provide a good space for children, but this really makes a wedding run smoothly. Ask your wedding planner for referrals or start researching babysitting agencies in your area–having those few extra hands during the day can make all the difference! 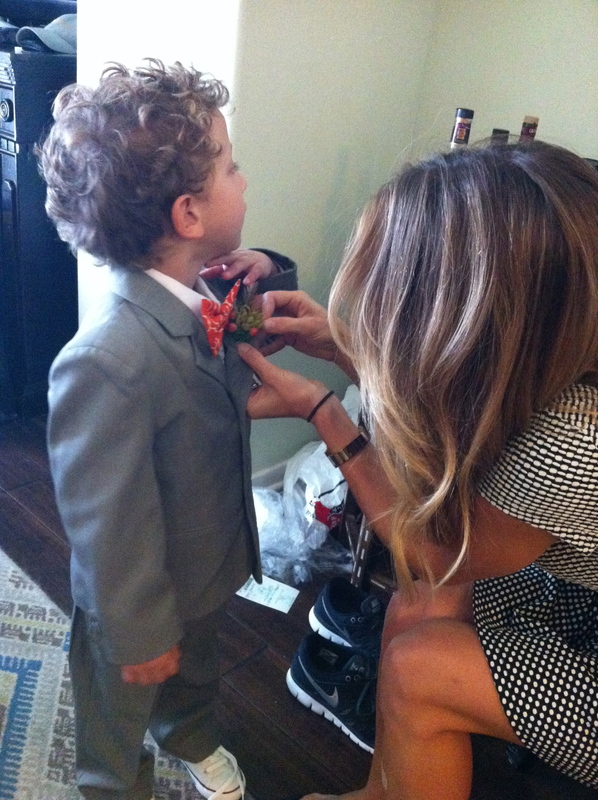 Christina pins a boutonnière on quite the dapper gentleman! With media at our fingertips, people now feel the need to capture everything on film, or it’s almost as if it didn’t happen. With Facebook posts and instagram, snapchat and vine, not to mention twitter we want everything to be captured and shared at a moments notice. I still remember when I thought “why would I need a camera on my phone?” And then I quickly realized the value when I would be out shopping and couldn’t decide whether a certain pair of shoes was right for an outfit! And that is just regular, daily life. So when it comes to your wedding, one of the most important days of your existence, it’s no wonder people go crazy over making sure everything is documented! We want professional and amateur photogs alike to be recording the whole process, so here at CLD we have pulled together some of our fave options for wedding pics. Obviously. But please know how important this is – nothing take place of a real photographer. Nothing. They have experience and actually make their living doing this, so do not underestimate their value and why you need them NO MATTER WHAT. No number of iPhones or aunts and uncles who hobby on the side as a photog can replace them. If I need to elaborate, please email me so I can virtually smack you in the noggin and remind you again why you need one. These guys are awesome. Have you ever talked to someone involved in film? I guarantee you, you will be hard pressed to find someone more passionate about what they do (or maybe that’s just because we’re partially based in LA and we know a lot of these peeps). Who doesn’t want their own romance film about their wedding? With a highlight reel and music to fit the mood, videogs work hard to capture your feeling, and it is a wonderful addition to have. That said, it can also be pricey and is often looked at upon as a “luxury” item because you don’t “need” them. We can also say we’ve never met anyone who weren’t happy they had one! Photobooths are not necessarily as “hot” as they were four years ago, but they are definitely not going away! These devices are a lot of fun for you to capture your guests having fun, for a cute guest book, and to provide a little entertainment as something for friends and family “to do” when their feet get tired from the dance floor. Do your research. Some are cool old school booths you go inside, some are pop-up tents, and others are referred to as “open air”, meaning you’re not enclosed but are standing in front of a backdrop with a photog taking the pics. Prices can vary greatly, so make sure to investigate to figure out why and then choose the right one for you budget. This is definitely not a place to blow your budget, there is something for everyone’s checkbook. These are the new photo booths, that are switching things up from the standard. From slow motion video clips to virtual graffiti walls, these are the “something unique” that is on the list after “something blue”. Feel out your crowd and make sure this is the right group to participate: college buddies = yes, weddings full of elder family members = probably not. A must have, these guys come to a very small price from free to $100. Of course, we all love instagram, so you could just create your own hashtag and make sure all your guests include it in every picture they post! There are companies such as Wedding Snap and Capsule Cam where you can have your guests download the app, sign in, and take photos to share with everyone. These are awesome for a wedding getaway when you have several days with people and want to share all your photos just with your group and download them when you get home. No need to tag every person in the photo, everyone will see it who is logged in. This is so you can share those special moment! We know there are millions of options out there, so take a little time and do some research or hire someone to help you choose what is best for you and your budget to capture those priceless moments at your wedding. Whatever you do, just remember that this is for fun and try not to get overwhelmed with all the options! It’s easy to fall in love with a venue. It has the perfect ceremony location overlooking the ocean, or the most beautiful arches in the chapel … and when we’re quick to sign that contract, sometimes we tend to glaze over are what restrictions are included in the package. Like when I had a bride find out that she had to pay $11 plus a $3.50 set-up fee per chair – for chairs that were already in the restaurant! Believe it or not, these crazy things exist out there and it’s up to your and your planner to read for these signs. Will there be trash cans on that open ranch or do you or the caterer need to take care of it? What about bathrooms – how many people can they hold? Are tables and chairs included in the pricing? What is the night like and will you need to bring in extra lighting? Are there parking restrictions for guests? Do you need a fire permit or insurance? The list is quite varying depending on where you are, so be sure to ask all the questions and read all the fine lines. These are completely standard items, however, you should make sure you know everything before signing in case there are any deal breakers. We’ve said it before. I know we have, but something this important bares repeating. It’s finally here; your wedding day! Woohoo! You’ve probably spent months researching, emailing, calling, meeting, and stressing to get it all pulled together. Hopefully, you have an awesome planner or coordinator who has helped reduce all that stress and has prepared everyone for the big event. But now it’s today, the day where all of your hard work is complete and your vision comes to life. Over the years, we have met many couples whom have one final obstacle to face on this day: letting go. After all this time, many people have difficulty handing over the reins to their wedding-day-rodeo. And this isn’t limited to the happy couple—we’ve seen parents, bridesmaids, groomsmen, and even an anxious musician still want to be in absolute control over every little detail. We get it. We totally do. We have been there (quite literally). Just remember this: you have hired a coordinator or planner for a reason. We are here so you can forget about all of the details and simply enjoy your day. You are getting married! Stop. Repeat. You are getting MARRIED. I mean seriously, how amazing is that? You have found someone who loves you enough to put up with your OCD behavior on how to make a bed and load the dishwasher properly, not to mention your unhealthy addiction to Bravo TV. And now, you get to have a huge party! You look amazing! Those are the things we want you to remember and revel in, not what time you were supposed to cut the cake or if someone remembered the offering flowers for your Catholic ceremony. Trust your coordinator, everything will fall into place. Have you ever seen the inner workings of a Broadway Theatre? No! (okay, maybe you actors have) It is mayhem and crazy and adjustments are being made and lights are changes and costumes are being re-sewn. And as an audience member, you’d never know the difference. This is how the bride and her party should feel. You don’t have to worry about the behind the scenes – we will do it all for you. Remember, you only have one job for the day of your wedding: get married. Do your job well, and trust that everyone else will do their job well too! Request an extended meeting the day of your rehearsal. Your planner should be at your rehearsal, but ask for some extra time either before or after. Ask for at least 30 minutes to review your timeline, point out any discrepancies that may have come up in the final days, and go over your last-minute questions. You will get to go to bed with peace of mind. At CLD we require a 1 hour meeting to touch over everything. Deflect and delegate. Designate a member of your bridal party as your question “gate-keeper,” that will deflect unnecessary questions and delegate any last minute tasks. Of course, there will be some practical and necessary questions during the day, but some pre-wedding delegation will help. Have something fun planned for the morning-of. Start your day with a light brunch with family or friends. Yummy food, along with a CLD-approved mimosa, will set a good mood for the day. Remember that in ten years from now, you are more likely to remember how beautiful your now-spouse looked and how they made you feel compared to anything else that happened that day. Whew! Now take a deep breath and go enjoy your wedding day! !